The writer dies, but the work can never escape. When we think of Louis-Ferdinand Céline, the first thing that comes to mind is his masterful Journey to the End of the Night. After that, we maybe remember he was a frothing-at-the-mouth anti-Semite. 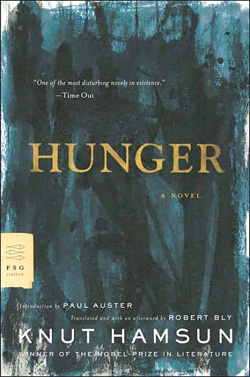 Hunger by Knut Hamsun. 240 pages. Farrar, Straus and Giroux. $16.